We believe that quality assurance is not only about answering to regulatory requirements. It is above all a way to ensure a high level of satisfaction of our customers and to maintain their trust in our products and services. Based on our practical experience, we offer different kind of services in activities linked to quality management and assistance in establishing a Quality Management System. QMS as per requirements of ISO 13485 : 2016, FDA QSR 21 CFR Part 820, Quality Manual and procedures tailored to your activites. Qualification and validation of your manufacturing equipments with IQ, OQ, PQ method. Installation Qualification, Operational Qualification, Performance Qualification. Trainings, in our offices or directly at our customers’. Comprehend the current european directive on medical devices : 93/42/CEE. Comprehend the coming european regulation on medical devices. Constitute the CE-marking dossier for a medical device. Conduct a clinical evaluation of a medical device based on clinical papers review. Conduct a clinical post-marketing review of a marketed medical device. Establish a quality management system as per the requirements of ISO 13485 : 2016. Update an existing ISO 13485 quality management system to the 2016 version. Conduct an internal audit and a supplier or subcontractor audit. Organize a standard and regulatory watch. Conduct a risk management plan according to ISO 14971. Processes implied in the design of a medical device. Qualification and validation of manufacturing equipments : IQ, OQ, PQ approach. Validation of gamma-irradiation sterilization according to ISO 11137. Validation of ethylene oxyde sterilization according to ISO 11135. Medical devices supplied in a sterile packaging : materials and packaging systems according to ISO 11607. Cleaning validation of single use medical devices according to NF S 94-091. Biocompatibility evaluation of a medical device according to ISO 10993-1. MRI compatibility evaluation of a medical device according to CEI 60601-1. Askorn’s asset : as we are manufacturer of medical devices and because we handle these subjects on a daily basis, we offer a practical and tangible outlook that we have ourselves applied with success. Our trainings details the ressources that will be needed to apply the standards and we can put you in touch with specialized service provider. You cannot make qualified ressources available to audit a subcontractor : an experienced and trained member of Askorn steps in and evaluate the processes that you have defined in your audit plan. You are looking for a specialist of sterile medical devices packaging, an experienced forging company, a laboratory for your testing … Our activities bring us to work with a large network of service providers that have gained our trust over time. We can recommand recognized partners whose services suit the expectations of your project and accompagny you towards its success. Always increasing and shifting regulatory requirements strongly affect the development schedule of medical devices projects and require skills and ressources that are more and more specialized and solicited. Our experience in the regulatory frame allows us to assist you in answering the regulatory requirements from your national competent authority and your notified body. Analysis of the standard and regulatory frame of your project. Carrying out of clinical evaluation through the study of clinical papers, provision of a clinical evaluation report. Carrying out of the risk analysis and risk management plan.  Production of the CE-marking file according to european directive for medical devices 93/42/CEE. Production of the 510(k) file for US market access. Update of the technical file for renewal of the CE-marking. Carrying out the yearly update of clinical evaluation report. Carrying out the yearly update of post-marketing follow-up. Definition and establishment of post-marketing follow-up plan. Objectives : Turn a concept or an idea into a finished turn-key product with CE-mark. Our expertise covers especially implantable medical devices (class IIb & III) and reusable or single-use medical devices (class I to IIa). Askorn’s structure is tailored to provide quick and efficient response to your requests, and we can work with great flexibility. Taking charge of the full project, from starting point to CE-marking … … or participation only in some key activites. Using our ISO 13485 certified QMS … … or making fit in our customer’s QMS and procedures. Through our notified body (French body LNE/G-MED)… … or through our customer’s notified body. Products labeled in our customer’s name, CE-marked in Askorn’s name … … or fully labeled and CE-marked in our customer’s name. Because standard implants and instruments do not fit to every patients, we also propose a design service of patient specific devices, directly based on the patient’s anatomy. We used DICOM files from MRI or scan to design a 100% tailored device that perfectly fit the patient’s condition. Objective : Manufacture your product in an optimized way, from prototypes to fully finished device in a sterile packaging. For each manufacturing step, we work exclusively with ISO 13485 certified and experienced partners, that we manage with regular quality audits. We compete different service providers in order to find the service that is best suited to your expecations both in cost and time. There is however a commun point that gathers our partners : flawless quality. Kitting of your instruments in custom-made sterilization trays.